Journalism.co.uk is hosting the 22nd newsrewired digital journalism conference today, at the Reuters offices in Canary Wharf, London. 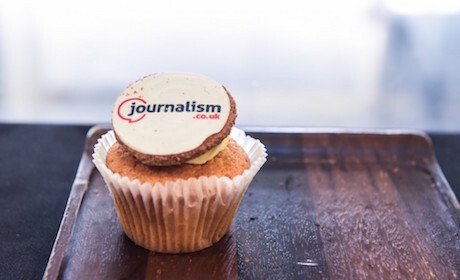 The event will highlight the latest trends in the industry, such as podcasting, constructive journalism, editorial newsletters and audience-first journalism. On the day, delegates will be able to immerse themselves in panel discussions and take away practical recommendations from experts during the workshops, from news organisations like the Guardian, Quartz, Reuters, The Telegraph, The Economist, The Financial Times and many others. • and don't forget to check our social media accounts over the next few days too, for video coverage and highlights from the event. The conference kicks off at 9.20am, with a keynote speech from Reuters EMEA chief, Simon Robinson, who will explain how the world’s largest international multimedia news provider is maintaining credibility and trust in an age of ‘fake news’ by focusing on robust reporting, maintaining independence, increasing transparency and, when they occur, correcting mistakes quickly. The media landscape may have changed dramatically, but the best modern journalism, he will argue, is rooted in old-fashioned reporting values.